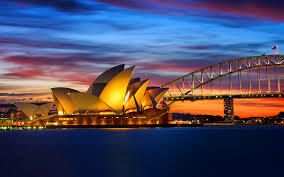 We’re based in Sydney, and have a few day off in April (over Easter and Anzac Day) with no travel plans. Should we go to Kakadu National Park or do the Great Ocean Road? We like good scenery, wildlife, and great food. Both places seem reasonably priced for our purposes (we’re poor) so that wouldn’t be the deciding factor. Does anyone currently drink this or if they don’t do they remember it? It’s an old Australian Cola which as far as I know used to be popular years ago but is pretty unknown now. You can find it in grocery stores like Woolworths and Coles but it can be a pretty rare find as I don’t think it’s ever really advertised anywhere. I spotted the infamously shy Platypus in the Hobart Rivulet, Tasmania.